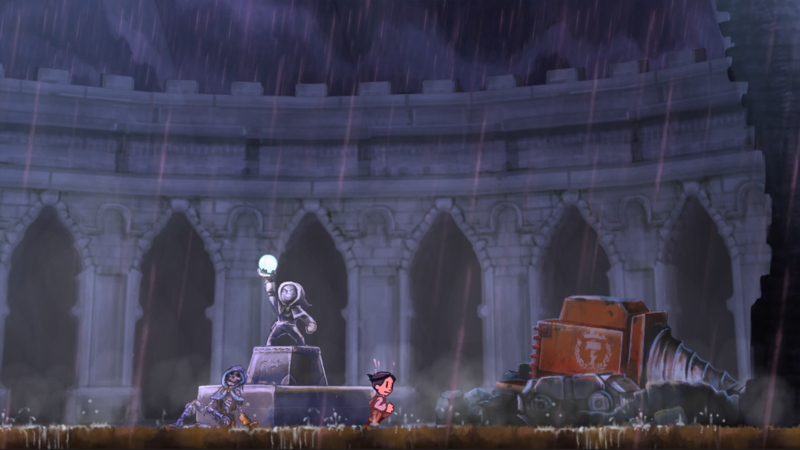 Developed & Published by Rain Games. Released on March 9, 2016 (Xbox One). Available on PC, PS4, and Xbox One (reviewed). Review code provided by publisher. 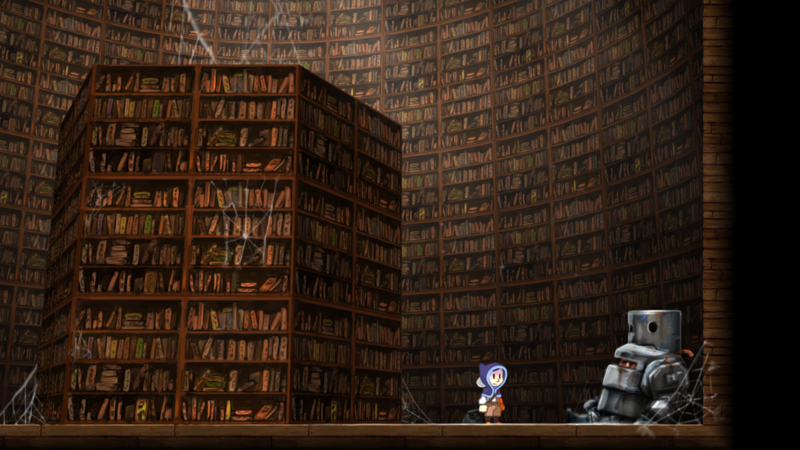 Telsagrad is a puzzle platformer which focuses more on visual storytelling than text or dialogue. 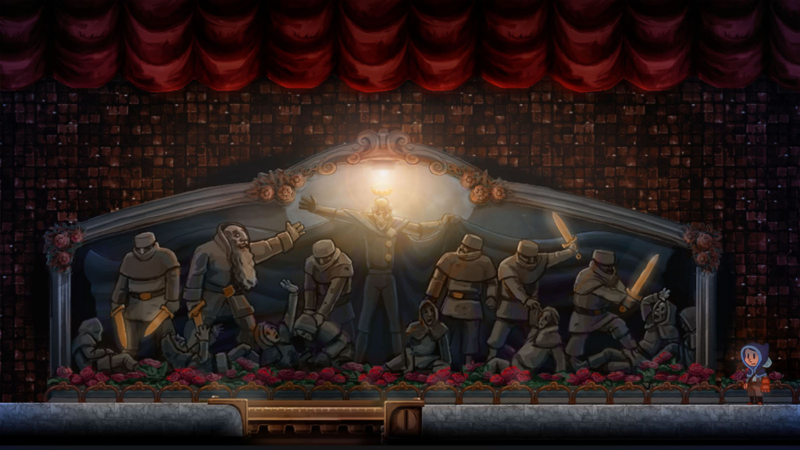 The steampunk inspired world features 2D hand-drawn surroundings full of puzzles that must be manipulated by electricity or magnetism. Telsagrad starts out with a young gentleman, holding a baby and walking towards a quaint little home, where he hands it off to an unnamed woman. 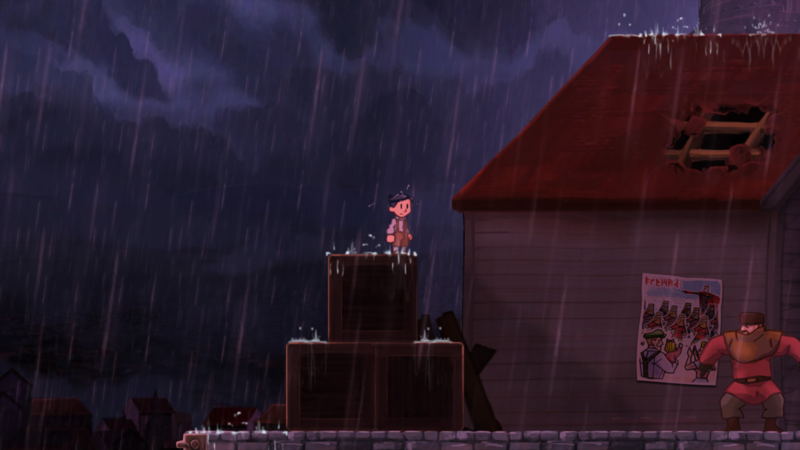 A few seconds later the game skips to a young boy, maybe around 10 or 11, popping out the back of the house. With no introductions or explanations you take on the role of the child and start to run through the streets, jumping and climbing until your heart's content. Next thing you know, large men are chasing you around and grabbing you for no particular reason. You immediately think, "What the hell is going on?" 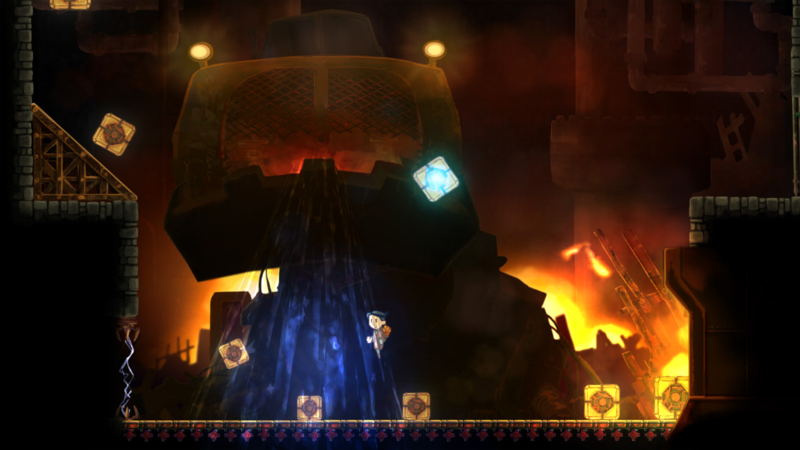 You'll soon realize that Telsagrad is one long WTF moment in time carried across level after level of punishing puzzles and strange enemies. With basically no instruction, the player must run around punching random objects to see if it does anything. It soon becomes clear that punching things (either with the left or right bumper) can make them sometimes glow a fluorescent blue instead of red but you may still remain puzzled of what exactly that all means. 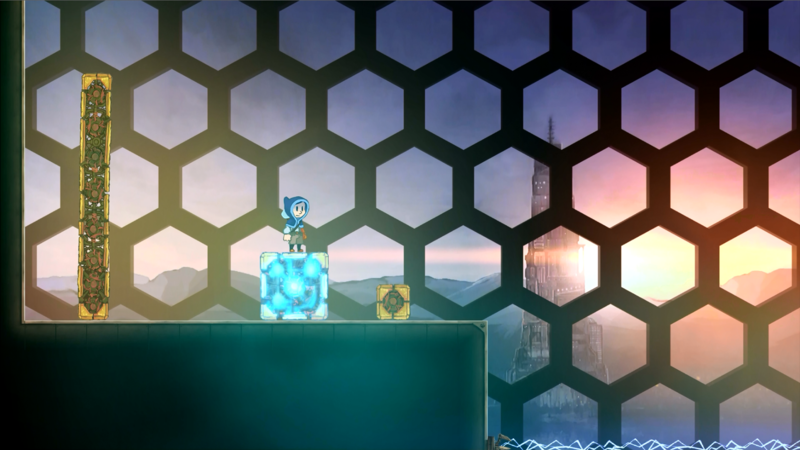 Telsagrad is nonlinear and Metroidvania-esque in its structure, letting you revisit previous areas and solve puzzles using new abilities you've learned. 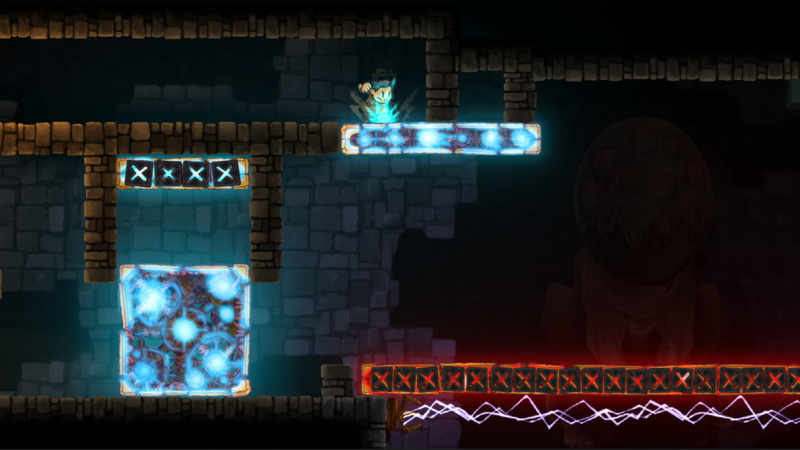 After a few minutes, you'll find the occasional wall drawing which gives subtle hints on how to complete a puzzle, but most of the time, you'll just wander around punching things until you find the path to the next section. 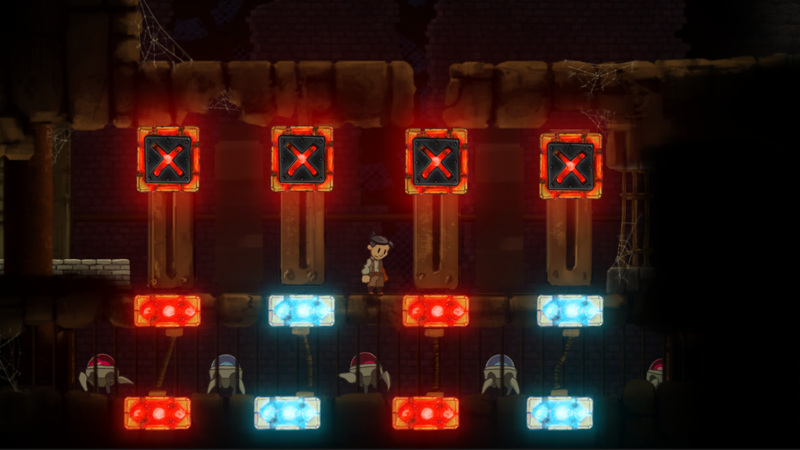 Sometimes striking a red item will make it float or move, but for many puzzles, there's no explanation to getting through them outside of dumb luck. After 15 minutes of gameplay I made it to my first boss battle with a giant trash compactor which was more annoying than all the previous puzzles so far. - I died roughly 30 times in a 10 minute time span. By this point, I had become almost completely infuriated with the game and was ready to quit. 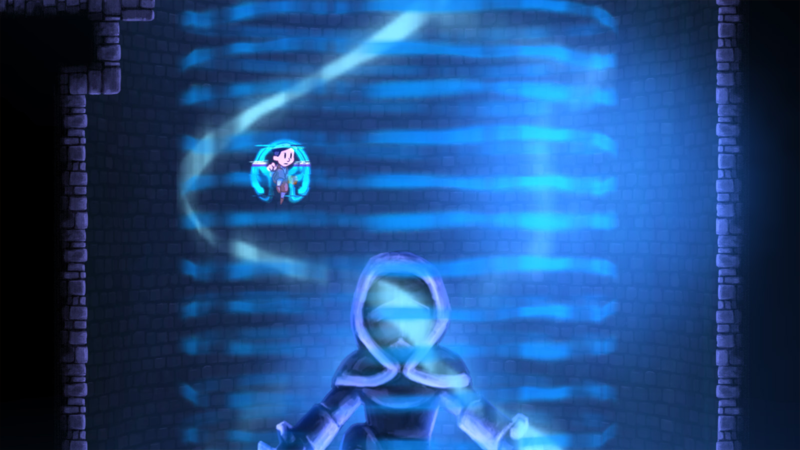 Instead, I took a deep breath, punch block after block slamming them into the giant trash compactor type monster's mouth eventually defeating it. While the boss battles were ludicrously hard--gamers will find that they are very satisfying to win. After surviving your first tough battle, players will venture down a winding corridor to find some very stylish lightning shoes. This new item can teleport your character from one side of the room to the other in mere seconds. Items like these really add a new degree of immersion to otherwise annoying gameplay, and make you feel better finishing the game. 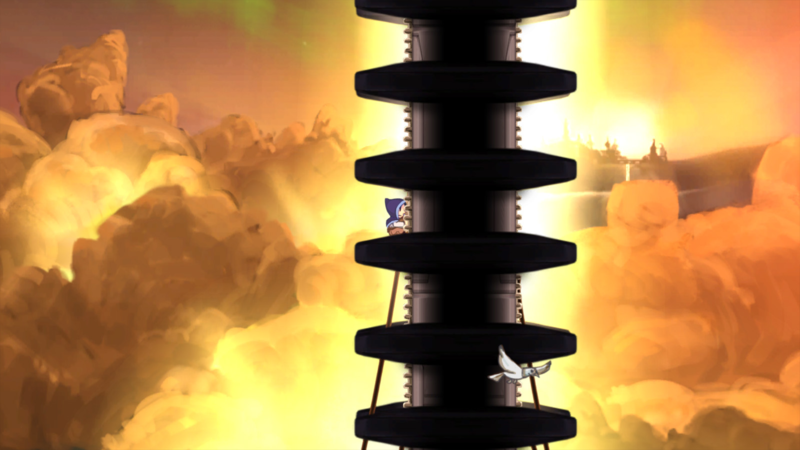 As you progress to new levels, the gameplay becomes more varied and less repetitive than it did at the beginning. 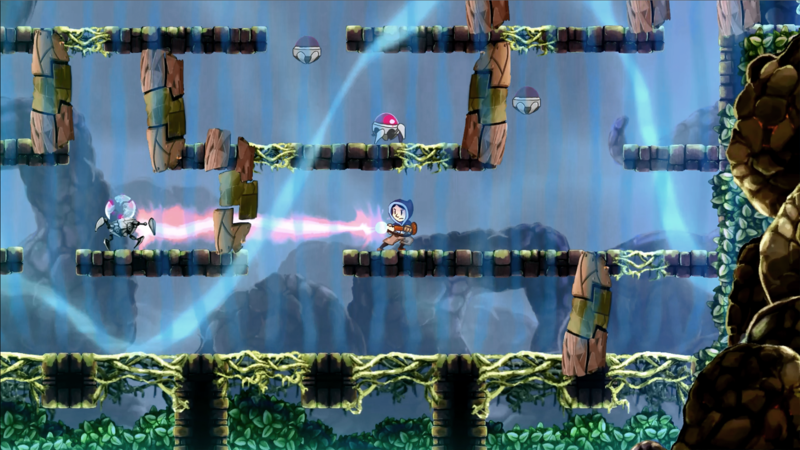 Players will notice that the game does get more entertaining as you go along thanks to new puzzles, intriguing items that unlock fun abilities and a better selection of enemies. My impressions of Telsagrad that far into the game was that it looked gorgeous with its colorfully drawn visuals, the soundtrack was superb and the controls were very responsive--but I needed more dialogue, story and well just plain guidance!Telsagrad could have been really great with the addition of a powerful storyline and voice acting. The whole picture of being free to tell your own story just didn't resonate well with me, and I think most players would enjoy the title a little more if there was anything in regards to an actual plot in the game. Exploring the mysterious Telsa Tower and its non-linear surroundings was an adventure, but the game's method of visual storytelling just wasn't my cup of tea. However, if you like no disruptions like loading screens, cutscenes, or dialogue then Telsagrad might just be for you. I want to interact with other characters and become immersed in a marvelous story, and Telsagrad just wasn't doing that for me. I often spent my time wondering why I should care about this character or continue to venture through this unknown world that I had no personal connection to. Since I didn't have that connection, by the time I finished all five boss fights and made it to the end of the game, I just felt unsatisfied, and wondering what could have been. 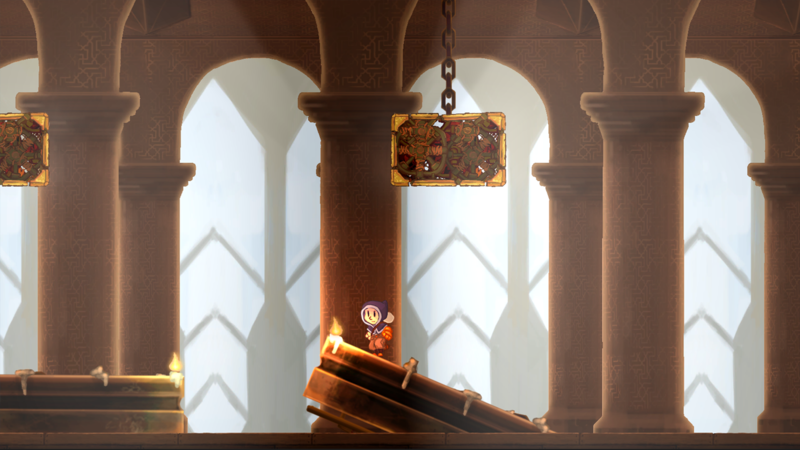 Bottom Line: Telsagrad is a complex puzzle platformer that is enjoyable and fun despite its painstakingly difficult challenges. However, the lack of a conventional story and dialogue left you wondering if you had missed out on an untapped experience. 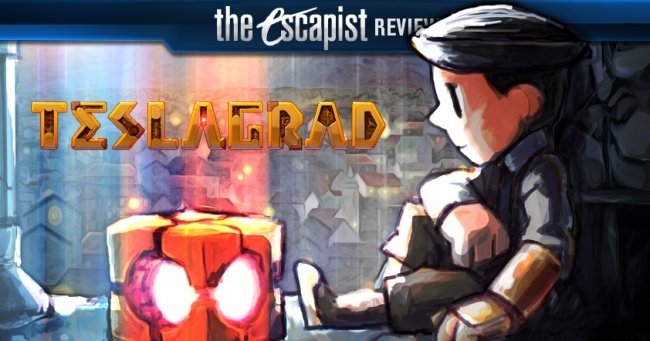 Recommendation: Die-hard platformer fans who love a good challenge and old school boss fights will want to pick up Telsagrad.